After what can only be described as a very hectic couple of weeks in our household I have finally managed to get some time back at the computer to catch-up with all that is happening in genea-land. Well that was the plan. 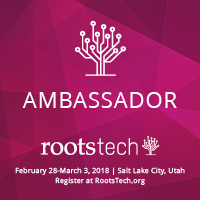 However, the first item I came across was a blog post from a friend, and fellow RootsTech 2017 Ambassador, Jill Ball, announcing her participation in the semi-finalist judging for the RootsTech Innovator Showdown. 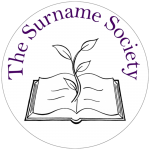 What an honour it must have been to be part of the selection panel that evaluated a massive 42 entries in the competition. Hearty congratulations must go to the following trimmed down list of semi-finalists – all very deserving of their spot in the Innovator Showdown. Each of the above Innovators, from around the world, will compete for $100,000 in prizes at the Showdown where five finalists will then pitch their innovative ideas on stage on 10 February 2017. You can read more about each of the 10 semi finalists at https://www.rootstech.org/innovator-showdown. This entry was posted in News, RootsTech 2017 and tagged RootsTech 2017 on December 17, 2016 by Jennie.